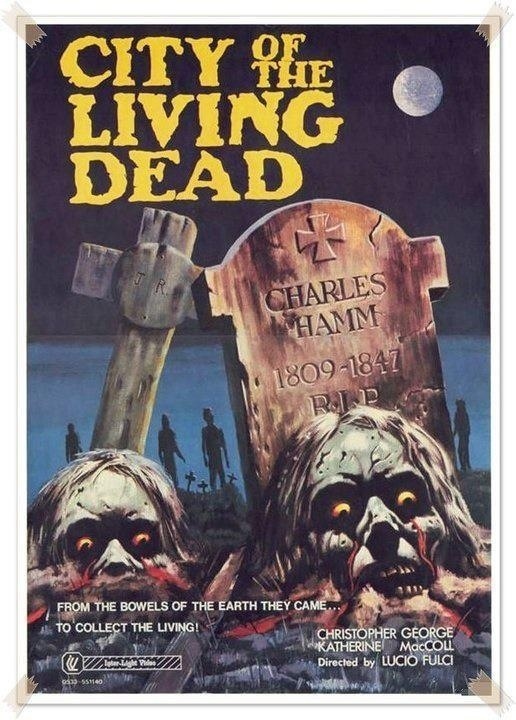 Released in 1980 City of the Living Dead has become a favorite among Lucio Fulci fans and while most will cite Zombi 2 or The Beyond as his best film (I go with Don’t Torture a Duckling), but there is a minority of fans that hail City of the Living Dead as his best film and while I don’t agree with that I do understand the appeal the movie has. What some people don’t realize was in the 70s Fulci wasn’t a splatter filmmaker and actually made movies that were more story driven and while these films may have gained a following since their original release they didn’t get a lot of attention and with the release of Zombi 2, which was a massive success and it retained the classic style of the past Fulci flicks, but also added splatter F/X, which would become his trademark in the 80s. I’m a big fan of Lucio Fulci, but after viewing movies like Don’t Torture a Duckling his splatter flicks don’t hold up nearly as well with me. My first introduction to the films of Lucio Fulci was his splatter flicks and upon my first viewings of these movies I loved them and Fulci was starting to climb the ranks of my favorite horror filmmakers. But like I said after watching some of his 70s flicks including Zombi 2, which again mixed in Fulci of the early to mid-70s and the splatter Fulci and as much as I enjoy his splatter films I’m also saddened he went down that direction in his career since he was as good as a filmmaker in the horror genre as anyone else, but people seem to forget that. 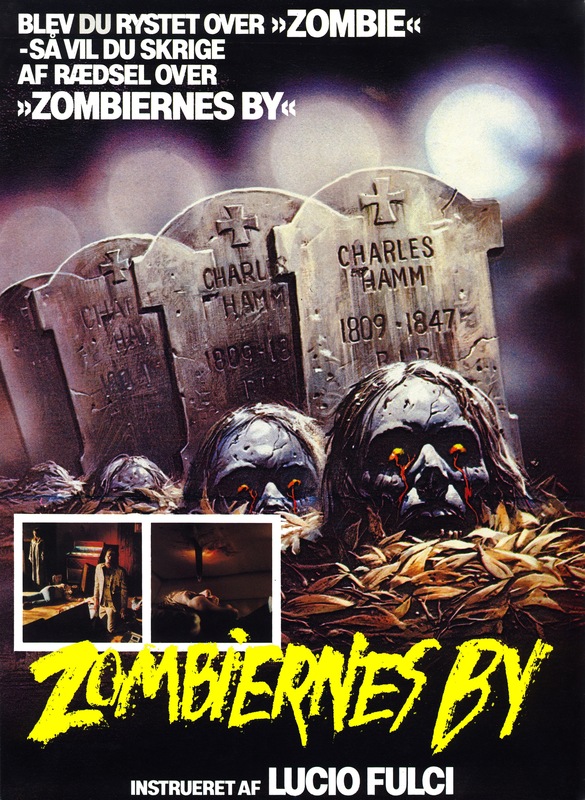 The screenplay written by Lucio Fulci and Dardano Sacchetti is mostly incoherent and lacks any real direction; it almost seems as if Fulci & Sacchetti just thought of random stuff that would be cool and added them into the screenplay without any thought and what there is of a plot seems more like an afterthought. 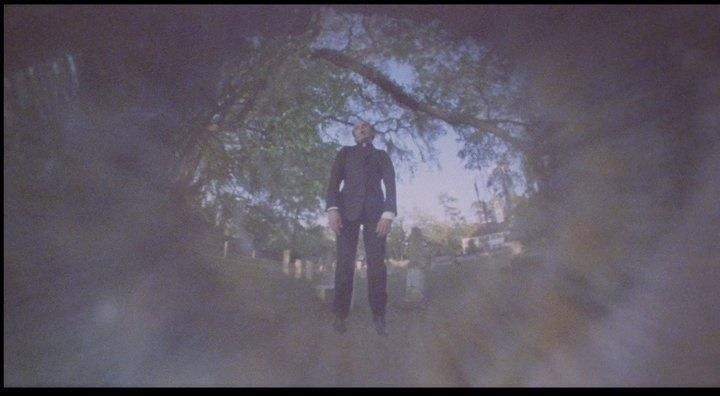 After a Priest (Jovine) hangs himself in a cemetery that opens the gates of hell and why that happens well your guess is as good as mine. Fulci & Sacchetti give as little explanation as possible and in certain aspects it does work due to the fact we know as much as the characters, which helps us understand their confusion, but it also makes the movie extremely incoherent and the lack of any real explanation also makes it a pointless and confusing mess. The characters are fairly weak with very little depth, but however they are mostly likable and even if they lack depth they are still interesting and at least have their own identities, which most likely has more to do with the actors than the writing. The idea behind the film was strong, but it could have used a little more explanation. This isn’t the typical zombie movie at all and the movie has much more of a supernatural tone. Windows shatter, blood pours down from the walls and zombies appear and disappear in the blink of an eye. The zombies also seem to have some kinda supernatural power; by making direct eye contact with them, well let’s just say it won’t end nicely for you. Also we know to kill a zombie give them a headshot. Here by simply stabbing the zombies in the stomach will get the job done. This is the one aspect of the script I think worked well since it keeps in tone with most zombie flicks in some areas, but also offers a twist to keep it from being like every other zombie movie produced at the time. 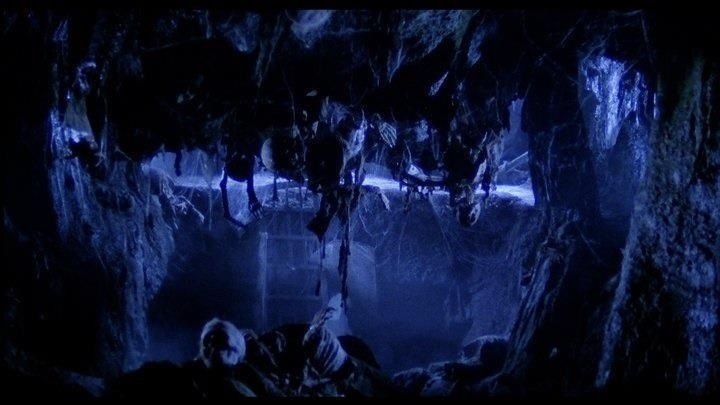 The direction by Lucio Fulci is actually fairly strong and while it cannot fully make up for the script, Fulci does create an eerie movie with great use of atmosphere and location. 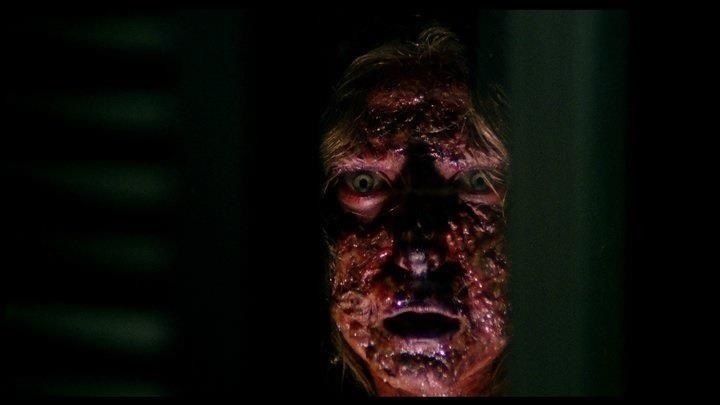 The film suffers a little early on from Fulci’s odd visual style with constant close up of the eyes, but once he tones that down, Fulci is able to deliver an eerie flick with some decent suspense and tension. The fact the plot is so incoherent it allows Fulci to create a dreamlike feel and make a movie that turns out better than maybe it should have. The pacing at times can be a little sluggish and the fact nothing really makes sense can lead to some slow moments, but in general the film is well paced. 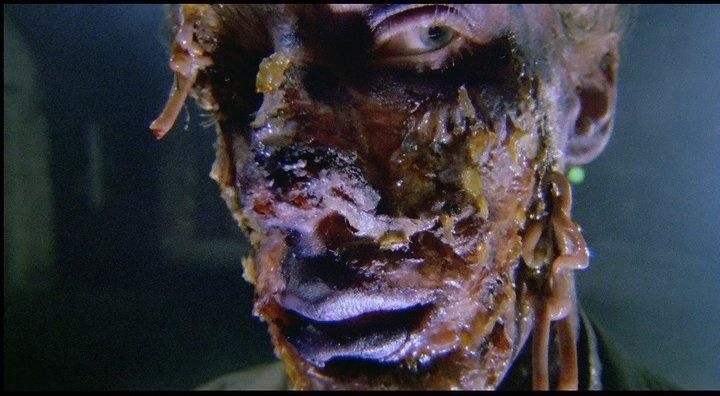 Most people will tune into City of the Living Dead for the gore and Fulci really delivers in that area. The girl who vomits her insides was rather brutal. 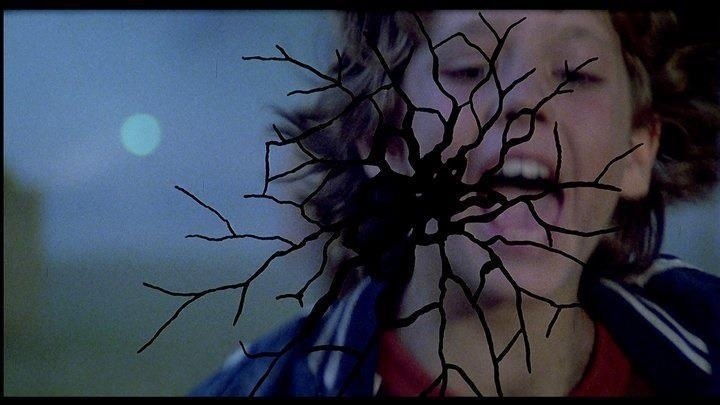 I have seen so many splatter flicks and many even gorier than this film, but there is just something about that scene that always gets me. And the gore scene involving the death of Giovanni Lombardo Radice’s death is one of the best F/X scenes of all time. 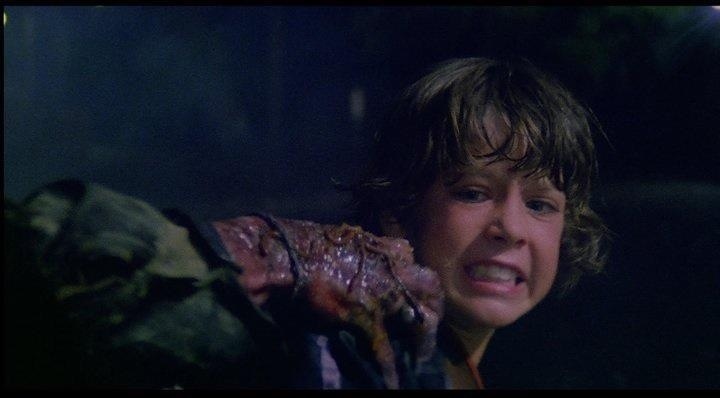 The movie is gory, but a lot of the death scenes can be redundant as a zombie grabs the back somebody’s head and rips off a chunk and while this was really cool the first time, but not so much after the 3rd time. Despite the lack of story and explanation of what’s happening, Fulci with his direction does keep the film enjoyable and while this isn’t my favorite film he made it would probably make my top 5. 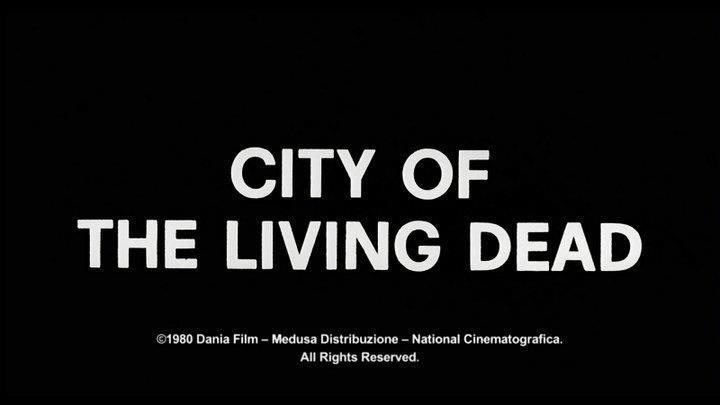 Overall City of the Living Dead is an enjoyable movie and while it lacks any coherent plot it does have a nice eerie feel to the movie and even if I do like the movie I also feel this was the start of the decline in Fulci’s career when he became a splatter director though with that said he did follow this up with some memorable films. 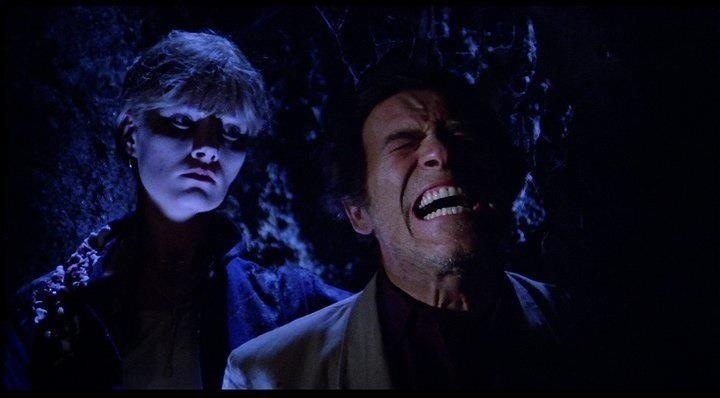 The strongest aspect of the film is the excellent cast and fans of Fulci will no doubt enjoy this one.